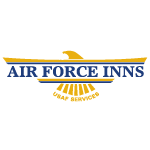 Welcome to Offutt’s Air Force Inns! We hope you will enjoy the attractions of Offutt AFB and the Omaha area. Rest assured you’ll be well taken care of during your stay — the staff wants it to be memorable and they are eagerly awaiting your requests. Visitors of all ranks can enjoy comfortable accommodations in any one of the 97 rooms located in the three modern lodging facilities: O’Malley Inn, Malmstrom Inn, and the Fort Crook House. All facilities, except the Fort Crook House, are located near the Offutt Club. Fort Crook House, otherwise known as Quarters 13, is used for distinguished visitors and is located on General’s Row in the Fort Crook Historical District. Reservations at Offutt’s Air Force Inns can be made up to 120 days in advance and prior to receiving PCS orders. Reservations must be reconfirmed three days prior to your arrival and will be canceled at 6 p.m. on the check-in date unless guaranteed with a credit card. The Offutt Inns staff wants your stay to be memorable and we value your comments and suggestions. We provide critique forms for all rooms and would appreciate you taking a few moments to fill one out. It is our goal to provide you with the best possible service. Offutt’s Air Force Inns manages 15 temporary lodging units from Rising View, in the Capehart military housing area. Each unit has sleeping accommodations for 8 adults, 2 bath and shower, a fully furnished kitchen, washer and dryer in each house, telephone, free Wi-Fi, and Cox cable. Since the number of personnel making permanent change of station moves in or out can exceed the number of TLFs available, be sure to make reservations well ahead of your arrival especially during the peak transition months of May through October. Active Duty members PCSing with fewer than two dependents will not be fully reimbursed for the cost of a TLF unit. Please contact the Lodging office directly for more details. 1.19.6 If non-pet TLFs are available, a certificate of Non Availability will not be issued. Occupants will obtain appropriate care for their pets when pet units are not available. Offutt AFB Lodging has made a commitment to provide a clean, smoke-free environment for all transient personnel. This policy includes every lodging room and encompasses all common areas such as the front desk, laundry rooms, day rooms and lodging hallways. We strive to offer our guests a pleasant and healthy experience; please observe the non-smoking designation and honor our commitment to providing smoke-free accommodations. Any guest found smoking in one of our rooms will be charged a $150 cleaning fee. The 55th Force Support Squadron enhances combat readiness, retention and morale through programs promoting well-being and quality of life for Offutt Air Force Base personnel and their dependents. The appearance of external links on this site does not constitute official endorsement on behalf of the U.S. Air Force or Department of Defense. The Air Force does not endorse any non-federal government organizations, products, or services. The Air Force does not exercise any responsibility or oversight of the content at external link destination(s). © 2019 55th Force Support Squadron.